METTLER TOLEDO Retail solutions guide your employees safely and reliably through each step in the weighing, packing, and weigh price labeling process. Our backroom products are designed to be robust and easy to use. Our solutions are built with efficiency in mind. With a full range of solutions – from manual wrapping stations to fully automated weighing, wrapping and labeling – METTLER TOLEDO can support your unique needs. 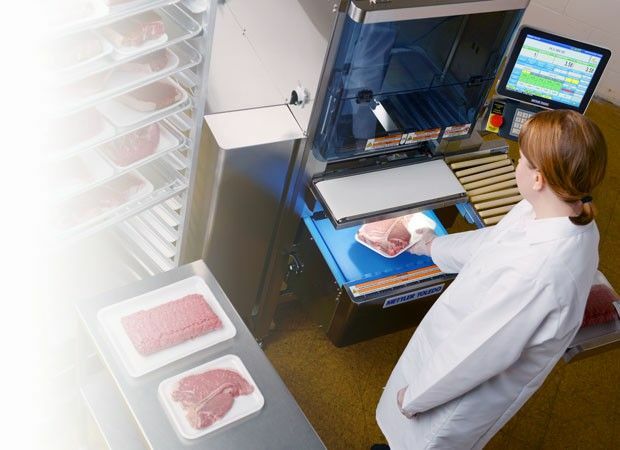 Meat and butcher products present distinctive challenges for a retailer in terms of both service counter and backroom technology. Customers seeking quality meat and butcher shop products expect freshness and appreciate appealing and informative packaging options. METTLER TOLEDO Retail solutions guide your employees safely and reliably through each step in the weigh price labeling process. Our weighing products are designed to be robust and easy to use. 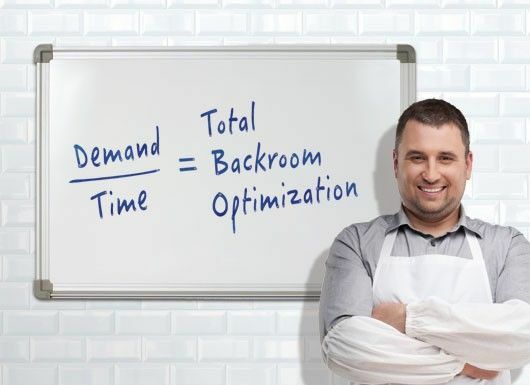 Our backroom solutions are built with efficiency in mind. With a full range of solutions, METTLER TOLEDO can support your unique needs. Manage production processes with our backroom solutions to give your staff the necessary insights to enable you to reduce costs and increase profits sustainably. Benefit from our expertise by integrating METTLER TOLEDO’s weighing and labeling technology into your inventory management processes. In addition to producing appealing packaging and legally compliant labels for your products, METTLER TOLEDO’s Retail solutions provide accurate weighing and record shoppers’ transactional data. We support you every step of the way. Best practices from the world of manufacturing will give new momentum into your backroom and will immediately become your tool of choice when preparing to make investment decisions. METTLER TOLEDO's Backroom Production Processes white paper combines manufacturing knowledge from across the industrial sector to help retailers take a new approach to their backroom. Grocery retailers who use the wrong packaging film in the backroom risk greater wear and tear on their wrapping machines, inefficient processes and packaging leaks. Discover the key considerations when choosing film for the backroom – and benefit from tangible efficiency improvements. The decisive properties: Discover which film is good for your processes and your equipment based on four characteristics. The right handling: Practical tips for backroom storage and handling to safeguard the quality of the film. The fundamental decision for long-term benefits: Identify the right sourcing strategy to obtain the right packaging film for you, quickly and effortlessly. 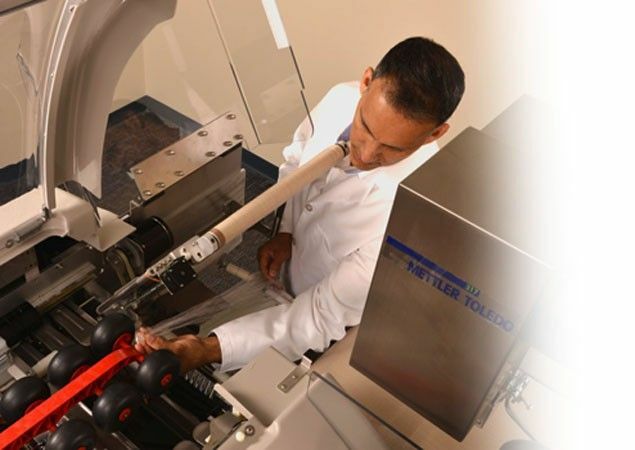 Scientific experts in the METTLER TOLEDO lab have chemically analyzed film samples and shared their insights into the mission-critical properties of film. See these ‘invisible’ factors for yourself and discover a pathway to increased operational uptime in the backroom. METTLER TOLEDO is committed to supporting food retailers in making their backroom processes as efficient as possible.